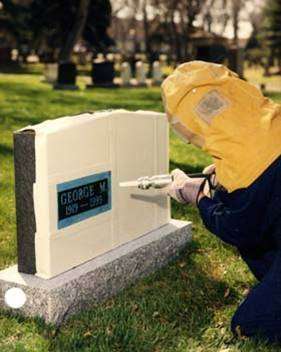 Remco craftsmen provide lettering on your memorial without removing it from the cemetery. Factory quality is guaranteed! For more information on mobile inscription, contact Remco today.